I've been getting a lot of questions lately about how to keep natural hair moisturized. Many of us are experiencing dry, frizzy hair which is kinda normal for the typical curly girl. Oils from the scalp are easily able to travel down the hair shaft with straight textures because it's...well straight and flows downward without interruption. Deep condition weekly as needed. Deep conditioning is the key to retaining moisture and plays a huge role in the hair growth process. Apply a conditioner and plastic cap (I used the Hot Head) for at least 30 minutes or more. I like to use WonderCurl's Restorative Mask. Add oils or a butter after moisturizing. For me this process is simply spraying on water or a leave-in conditioner throughout the week and then applying shea butter to my hair. This way the moisture is locked in. Think about adding humectants to your summer regimen. During this time of year it is very humid so why not use this to your advantage? Humectants pull moisture out of the air. Hint: Honey is a great one to add to your deep conditioner. 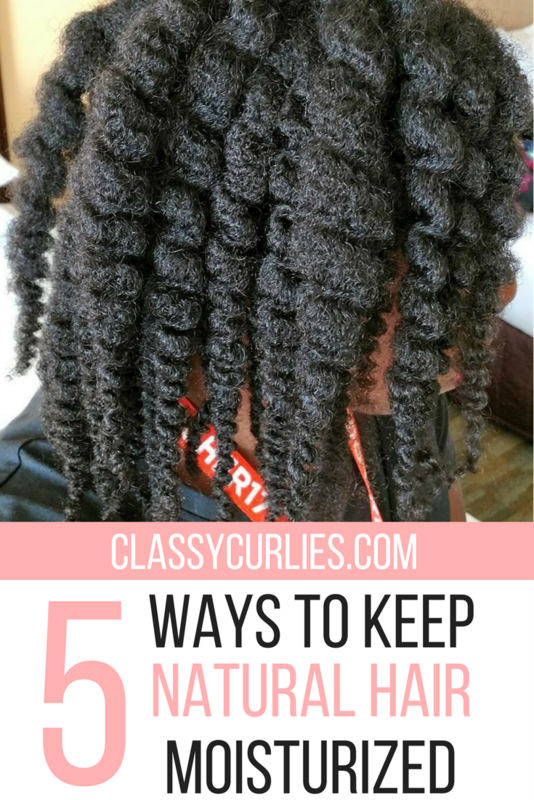 Protective styling helps retain moisture by locking it in. Loose or free hair looses moisture quickly because it is exposed to natural elements (sun, wind, etc.). Think of this as losing body heat. If you stay close and protected, you don't lose as much heat. Here's one to try. Create your own spritz! Who says you have to spend all of your money buying pricey hair products? All you need is a spritz bottle, water and your favorite conditioner. Enroll in our free mini e-course to make your own rosewater spritzer.